A one of a kind boat-dining experience designed to literally set your love and longings afloat. 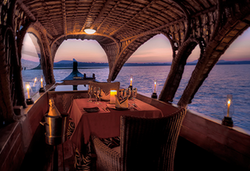 Relish each other’s company under the gentle, warm, glow of candle lights while silently floating on the waters of the Kabini. Savor exquisite food and from a choice menu prepared onboard just for the two of you. 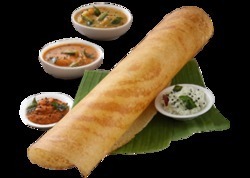 Dosa or Dosé or Dosai is a fermented crepe or pancake made from rice batter and black lentils. It is indigenous to and is a staple dish in the southern Indian states of Andhra Pradesh, Karnataka, Kerala and Tamil Nadu as well as being popular in Sri Lanka.